Each Biodiversity Education Centre celebrates a minimum of six environmental days or weeks annually. While National Wetland Week, National Water Week, National Environment Week, Arbor Week and Biodiversity Week programmes are facilitated at all the Centres, the sixth environmental week can be selected from the following: Marine Week, Weedbuster Week, Heritage Week, Mandela Day and Climate Change Week. The celebrations are linked to the national and/or international themes for the specific environmental weeks and take different forms, ranging from special learning programmes facilitated in the Gardens to community events which include an environmental action (planting indigenous gardens, planting trees, clearing alien invasive plants, etc.). 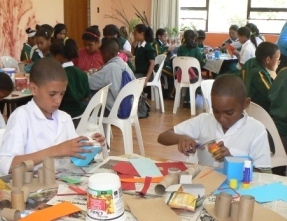 Three holiday programmes are facilitated at each Centre annually during the official school holiday periods. The programmes aim to provide edutainment through fun activities linked to biodiversity. Therefore, they include activities such as biodiversity art and craft workshops, nature treasure hunts, drama and role-play, poetry writing, etc. The programme caters for various age groups beyond formal mainstream schooling. Thus, beneficiaries in places such as orphanages and places of safety are also reached. Certain programmes are facilitated within the Gardens while others take place at orphanages and places of safety. In certain cases, the programmes are facilitated in partnership with other environmental organisations and take the form of three-day camps in natural settings. 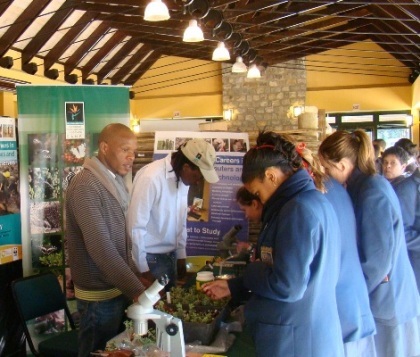 Annually, each Centre facilitates a Biodiversity Career Expo for high school learners and a Career Visit for primary school learners in order to promote awareness of biodiversity careers. The Career Expo follows a structured protocol in which groups of learners are escorted through a number of career ‘stations’ according to a set timeframe. The career ‘stations’ are manned by different biodiversity/conservation organisations as well as directorates within SANBI (especially the SANBI science/research units), thus allowing the learners to be exposed to a range of biodiversity careers. In addition, there are ‘stations’ for a number of higher education institutions. At each ‘station’, the learners obtain information about the career from the actual practitioners, as well as which tertiary courses the practitioners studied and which career pathways they followed. From the higher education institutions, they are able to determine which courses and qualifications are offered, how to apply, funding, etc. The Career Visit for primary school learners aims to create awareness about biodiversity careers in a fun way. 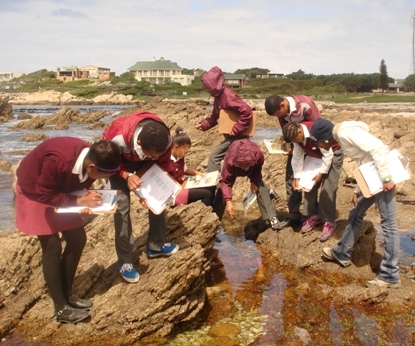 The educators are provided with packs of information about a range of biodiversity careers which they use to facilitate the following with their learners: learners are divided into groups; each group selects a biodiversity career and uses the resource pack to research information; each group develops a short drama which needs to reflect what the career entails, which school subjects one needs as well as which tertiary qualifications. Since this process takes place over a number of months, the activities are closely linked to the curriculum and are often used for assessment. The staff members of the SANBI Biodiversity Education Centres visit the school to provide guidance with the dramas, the clothes for the dress-up as well as provide certain props. On the day of the Career Visit, the learners proudly present their dramas to their educators, peers and SANBI Biodiversity Education staff members.